Finishing the Show with some Style……..
OK, if you have been reading my series of blogs about performing then you realize I am currently talking about the structure of a show and choice of material. Let’s talk about that all important closing to the show. This is where you collect up all the threads you have thrown out during the show and bind them together into a braided cord in order to have a big finish. Here are a few basic thoughts about the final segment of your show. 1 Never, ever finish a show with a spectator onstage. 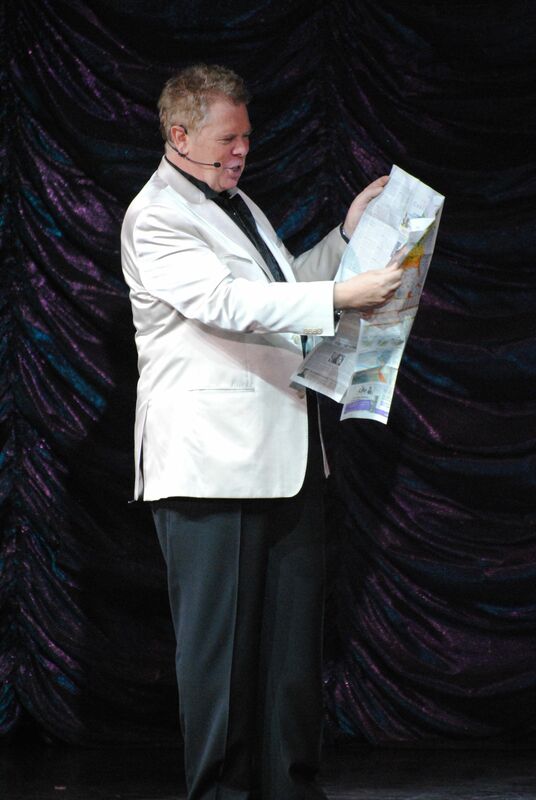 It splits the attention of the audience and slows down/clutters the closing of the act. Like the opening of the show, this moment is about YOU, YOU, YOU! 2 Conventional wisdom (and I tend to agree with it) says that it is a mistake to finish with a trick that causes the audience to have to think too much or leaves them so amazed that they forget to applaud. 3 It really doesn’t hurt to have a highly visual item at the end of the show. 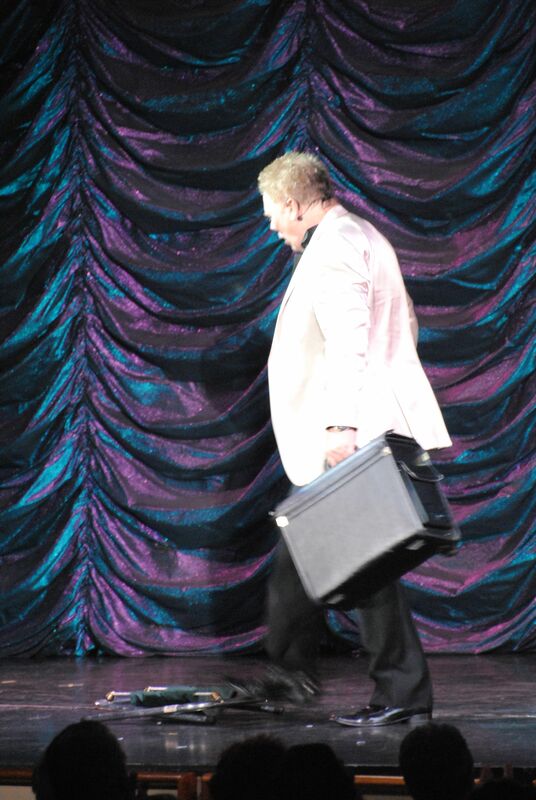 Much of the same rules that I applied to the opening of the show apply to the closing, except now the audience know who you are and what you do–it is nice to wrap it all up in a pretty package to finish your act. 4 False calls are a bit of a clique these days in a variety act. There is nothing more ‘icky’ than watching a performer begging like a dog and asking the audience, “One more?” However there is much to be said for packing two tricks together to create a very strong closing to the show. In my formal/full show I almost always close on a combination of the Multiplying Bottles and the Elmsley Newspaper Tear. The bottles is a great closer and supplies lots of fast flash and visual impact and then when it looks like I am all done I go into the Elmsley Tear which really brings the action back into my hands, get’s them looking at my face and displays obvious physical skill. Then as the applause is starting to peak I actually close with the Jumping Stool which kicks up the applause another notch just when you need it. 5 Make sure you know how to take a bow. One of the most important lessons I was ever taught was how to take a really professional bow at the end of the show. There are dozens of great tips you can learn watching quality pros taking their curtain call; even if some of them have become a little to obvious (even to lay audience) such as turning up the house lights to help achieve a standing ovation. 6 Please never say anything that includes the words standing ovation to ‘coax‘ the audience into standing. There are some great ways to do this, but…… they have all been done to death over the years. Let’s not be tacky. As an added thought here, PLEASE don’t do the snowstorm trick and tell the audience you did it for a dying boy who had never seen snow. 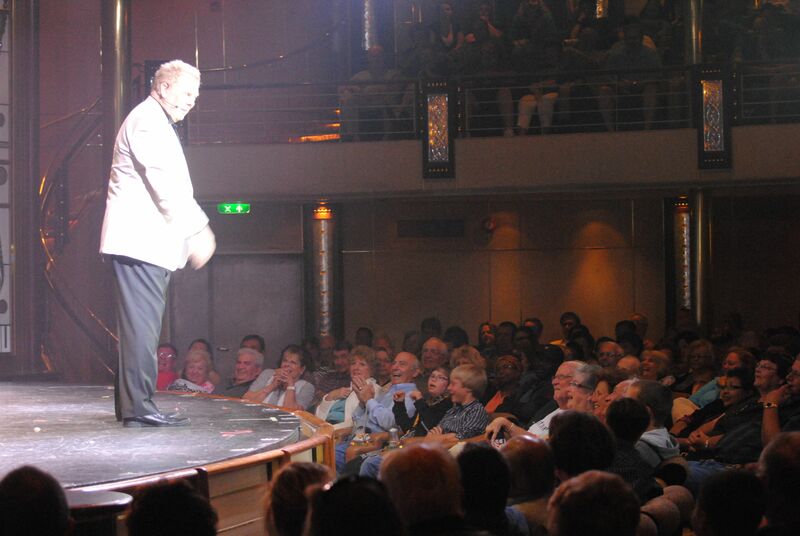 There are about four magicians doing this on the cruise ship circuit and it does more to lower professional bookers/entertainers opinion of magicians than anything else I know. So in the last couple of postss I have given you my thoughts on shaping your material into a strong show. Here are a few caveats to my observations that should be too obvious to mention, but……. In all my columns I speak entirely for myself—which is something I am uniquely qualified to do! There are exceptions to everything I have said and there are many roads to Rome. However, before you start breaking ‘rules’ it pays to know what the ‘rules’ are so you’re not just doing it out of ignorance. Oh, and make it look like you are having fun onstage. Audiences love that, even if it isn’t true! ~ by Nick Lewin on September 25, 2011.